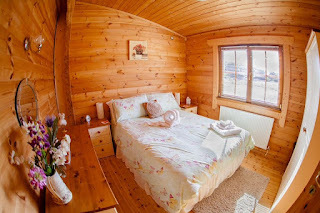 Forest View Retreat is a small site with 3 luxurious self catering log cabins. The cabins are in a rural setting and a few minutes from Kidderminster in Worcestershire. 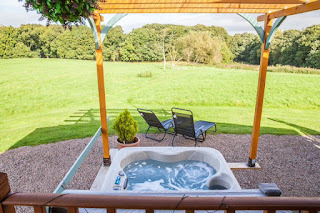 All the cabins have stunning hot tubs and a range of excellent facilities. 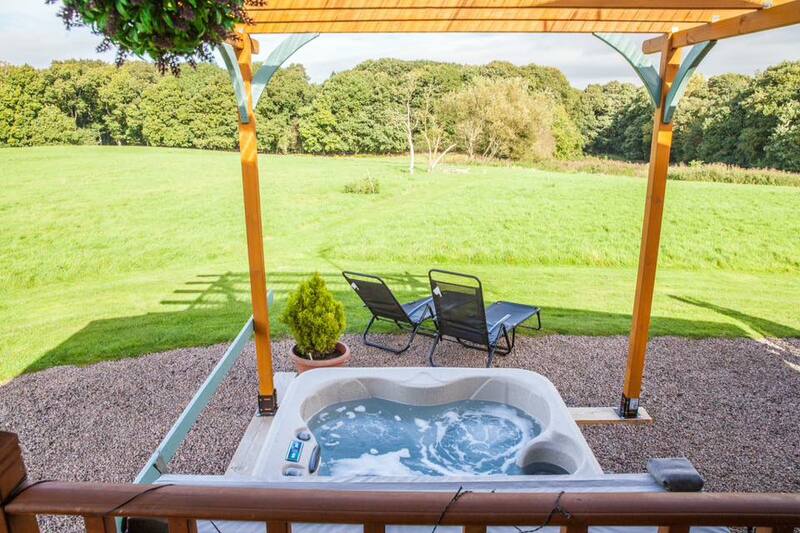 Bluebell Lodge is the perfect lodge for a romantic break or special occasion. There is a large two person bath and separate shower, fully fitted kitchen, open plan lounge and a king size bedroom. A private hot tub and patio area with BBQ are available. Fern Lodge offers luxury throughout. A large bedroom comes with king size bed, clock with USB port and Bluetooth. A modern bathroom with large free standing bath is surrounded with floor lights and a separate large shower. The fully fitted kitchen comes with an island breakfast bar and seating with built in USB power point. You can relax in the open plan lounge which has a lovely oiled pine floor. The lodge comes with a private hot tub and a patio area with furniture and BBQ. All of the cabins have a flat screen TV with Freeview and a DVD player in the lounge area. The local area is full of fabulous attractions. The West Midlands Safari Park is a great day out for all of the family. A range of animals to see and learn about are all less than ten minutes away. Witley Court is a spectacular country house set in beautiful gardens that you are welcome to explore. Guests can also visit Ludlow Castle and Worcester Cathedral.